Khan Ataur Rahman : (December 11, 1928 – December 1, 1997) was a Bangladeshi film actor, director, producer, screenplay writer, music composer, and singer. He is mostly famous for his role in the film Jibon Theke Neya (1970). In this film, his rendition of the song E Khancha bhangbo ami kemon kore echoed the national psyche on East Pakistan’s ongoing disparity and tyranny. 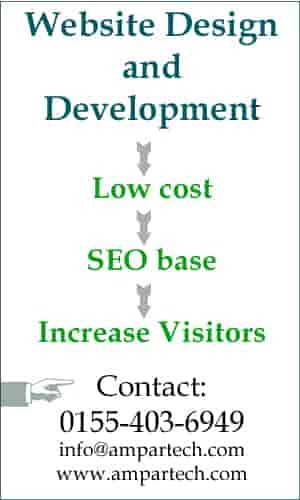 He is mostly known as Khan Ata to the mass population of Bangladesh. 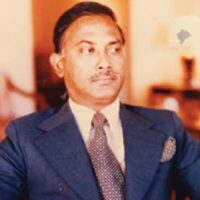 The son of Ziarat Hossain Khan and Zohra Khatun, who lived in Singair Upazila, Manikganj District, Khan Ataur Rahman was born on December 11, 1928. When Khan Ata was student of class three, he won the first prize of Dhaka Zilla Music Competition. 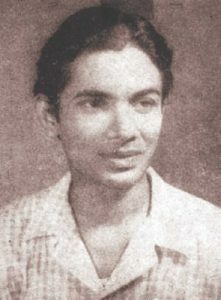 He rendered the song Mon paban-er dinga baiyya.Khan Ata attended Dhaka Collegiate School, Dhaka College, and Dhaka University, completing a Bachelor of Science degree. Rahman was extremely obsessed with films. After enrolling in Dhaka Medical College, a career he later decided not to pursue, he made an attempt to escape from house and join films. He had only Taka 60 in his possession that time. Accidentally his brother-in-law spotted Rahman in the Rail Station. 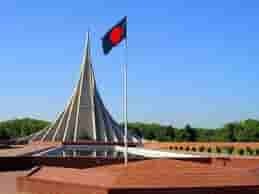 He was forced back to home.As of Rahman’s Bohemian type attitude, he left Dhaka University in 1949 and ran away from house for the second time. This time he went to Mumbai (former Bombay).He started frequented the film industry and slept on the side walks. He met Jyoti Studio’s cameraman Jal Irani, and he gave Rahman the chance to work as an apprentice but it was not satisfying enough for him. In 1950 Khan Ataur Rahman went to Karachi and took a job as a News Presenter in Radio Pakistan. Here he met with another notable Bengali media personality Foteh Lohani. Khan Ata was very interested in film, that is why he started taking music lessons from renowned Pakistani Sarnagi (a kind of musical instrument) player Jawahari Khan. After some days Foteh Lohani moved to London. In 1952 Khan Ata went London as well. There he performed as a singer and actor in several Bengali programs. He met with artist SM Sultan and helped him with his savings to buy art supplies for the artist. Rahman and his companions also made arrangements for displaying and selling Sultan’s paintings.In 1953 Rahman enrolled in the Theatre department at City Literary Institute. Rahman studied in the Netherlands when he was awarded a UNESCO fellowship in 1954. Thereafter, he worked as a teacher in London but also took to the stage for several years. In 1956, he returned to home and starred in a film called Jago Hua Sabera (1956) directed by AJ Kader. He played many roles with notable Bengali actress Tripti Mitra. 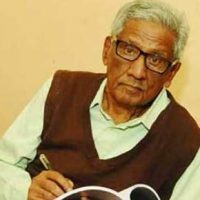 In 1963 he made his directorial debut with the film Onek Diner Chena, and continued making many notable films like Nawab Sirajuddaula (1967), Saat Vai Champa (1968), Arun Barun Kironmala (1968), Abar Tora Manush Ho (1973), Sujon Sokhi (1976), Ekhono Onek Raat (1997).In addition to acting, Khan Ataur Rahman was a songwriter with over 500 compositions, some of which remain popular. 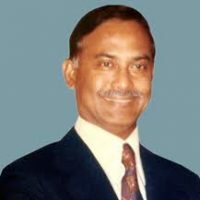 Khan Ataur Rahman married three times. When he was in London, completing a higher course in Cinematography, he met an English girl named Shirley and married her. On their return to Bangladesh and after having a child, they got divorced. Shirly returned back to London with the child. Then Khan Ata married Mahabuba Hasnat. They met in a Radio Station. They had a daughter named Rumana Islam, a Bangladeshi singer. In 1968, Khan Ata married Nilufar Yasmin, a famous Bangladeshi singer. They had a boy from this family, named Agun, who is also a notable singer of Bangladesh.